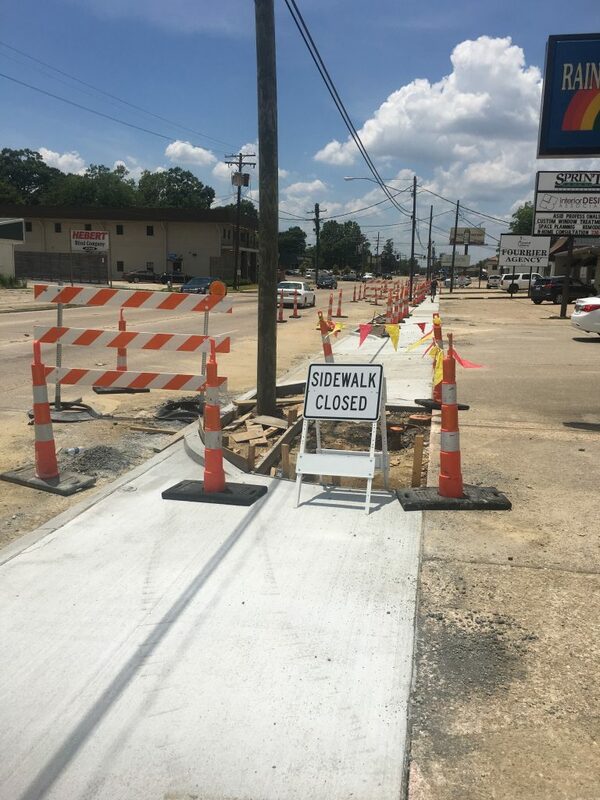 The Baton Rouge Road Diet project was contracted to improve the safety of pedestrians and bikers through downtown Baton Rouge, and to reduce the amount of traffic passing through the 4.2 mile stretch that’s home to many restaurants and retail stores. The road diet is roughly a 2-year project involving both commercial and residential areas. Barber Brothers is removing and replacing deteriorated road panels and performing concrete patching throughout the entire project span. 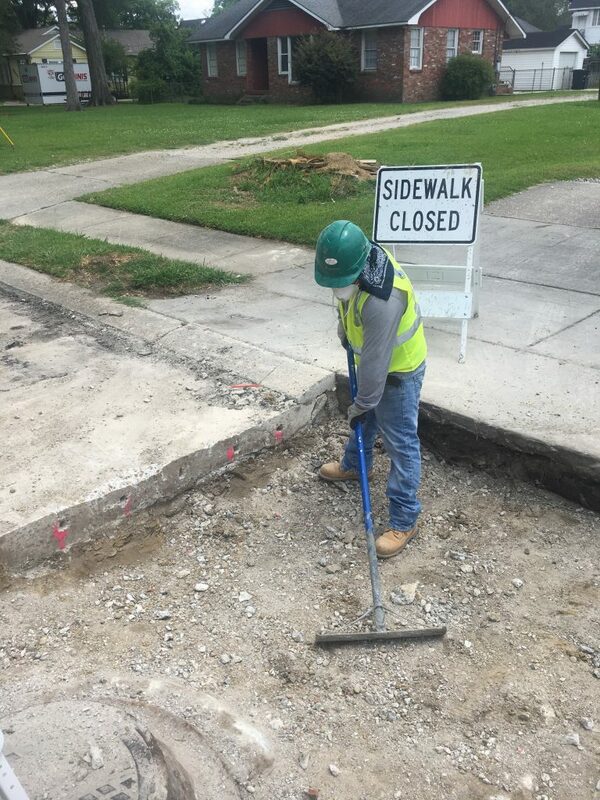 The residential work includes removing sidewalks and driveways, then re-pouring them with 808 Compliance asphalt. 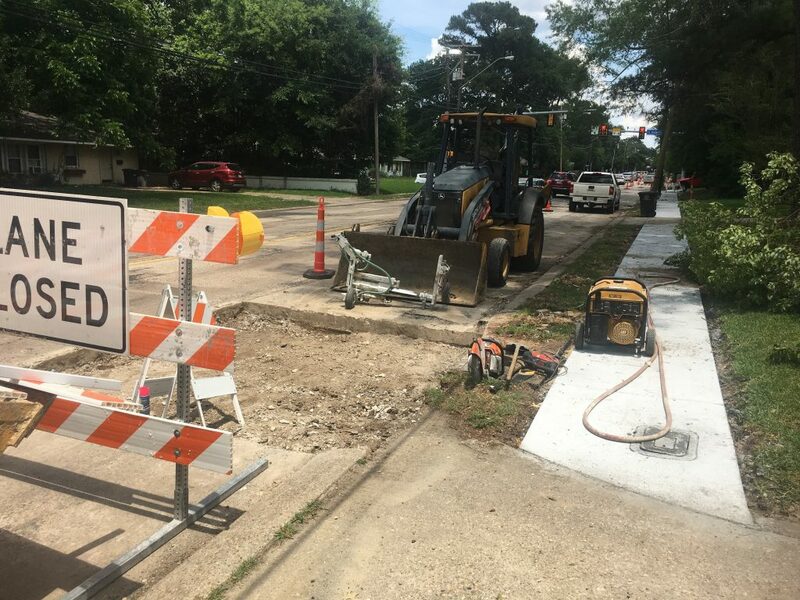 Government Street will be scaled down from four lanes to three lanes, with a center turn lane added, and a newly installed roundabout at the Government / Lobdell / Independence Park intersection. 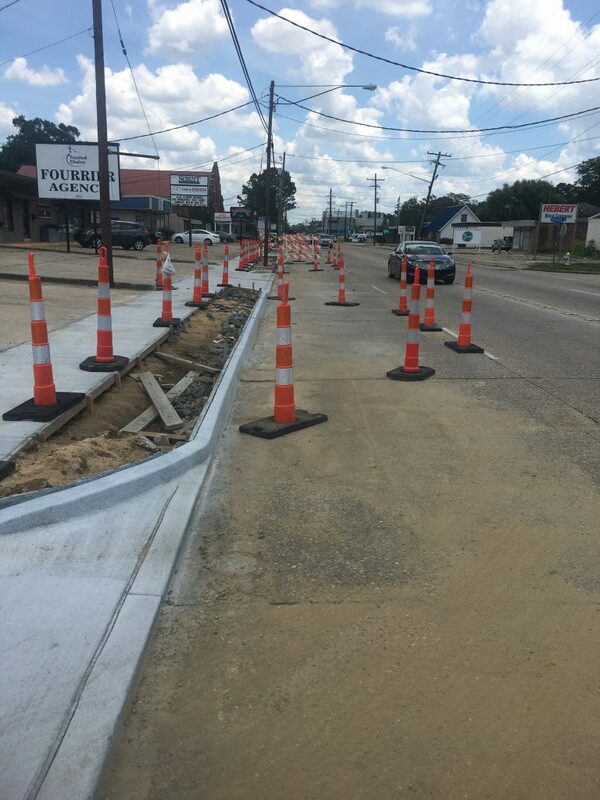 Government Street will also receive bike lanes, and sidewalks by the end of the project. 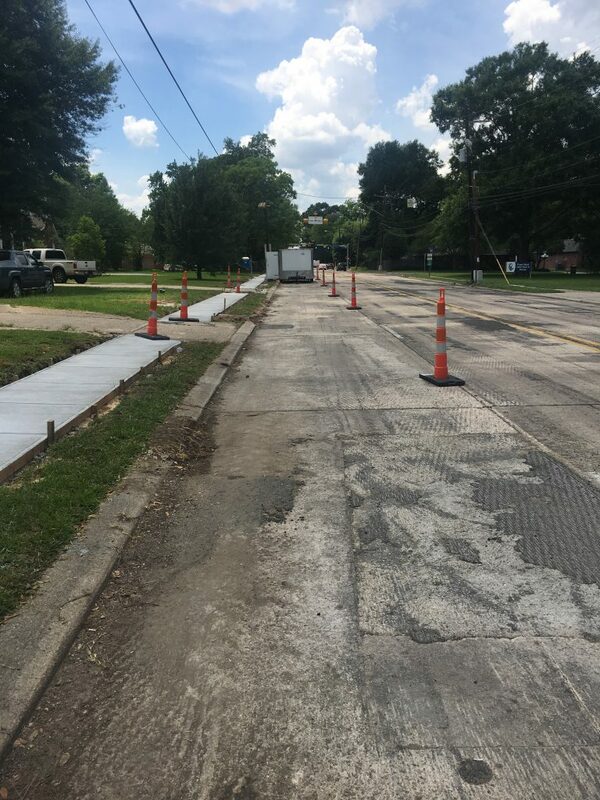 North Foster Drive to Jefferson Highway will have two Eastbound lanes, one Westbound lane, a left turning lane, and bicycle lanes. The project calls for adding significant landscaping and beautification, so our teams are cultivating as much green space as possible across the project area as construction progresses. 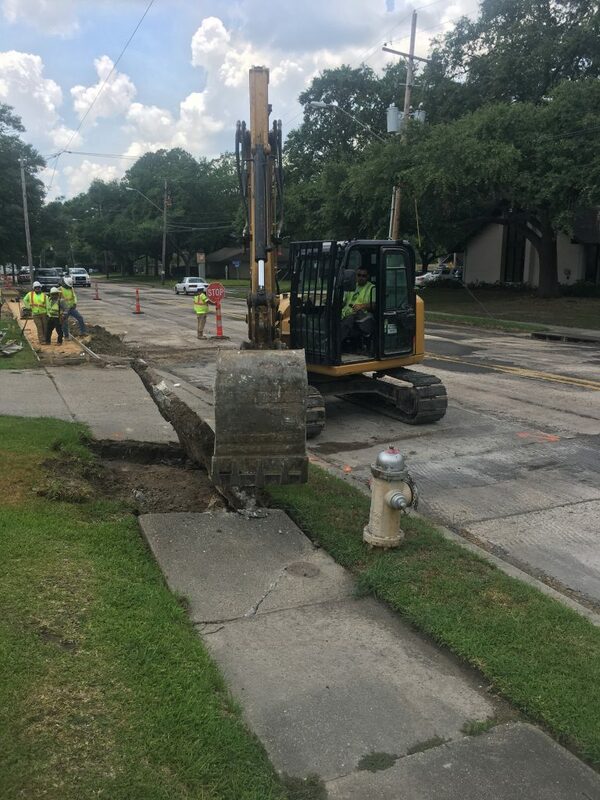 Intense summer heat in 2018 has made working conditions more difficult than usual, so our crews are working earlier in the morning and later into the evening when temperatures are more manageable and traffic conditions lighter. 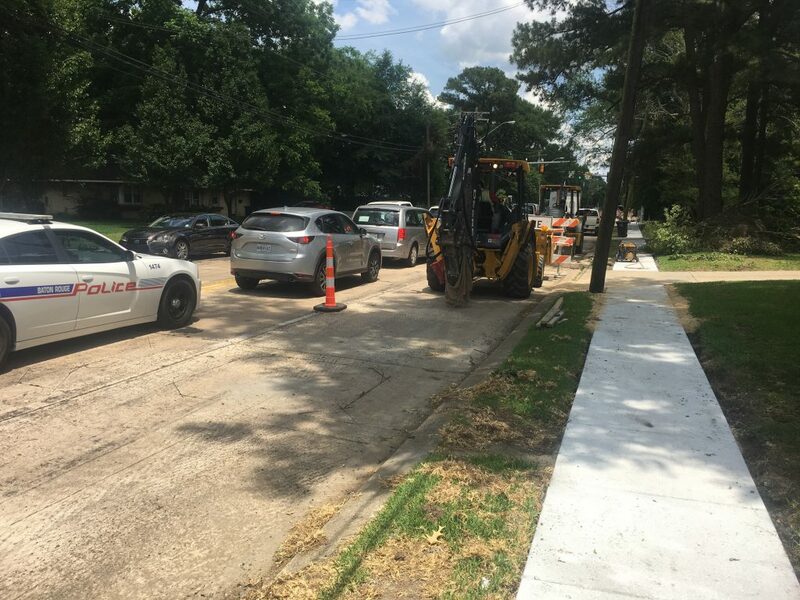 Because of the normally heavy traffic through this area, it is prudent to only restrict traffic .5 miles at a time to reduce inconvenience to the traveling public as much as possible while keeping to the project schedule. Though this project has had some unique constraints, the Barber Bros. have enjoys the challenges, and anticipates project completion by 2020.